It’s that time of year where I live. A parade of orange barrels starts to line our streets in late March or early April. And they continue to haunt us until the snow really takes hold. Once the parade begins, I try to avoid the road construction as much as possible. Take alternate routes, choose different stores to shop at, or just buy more online. 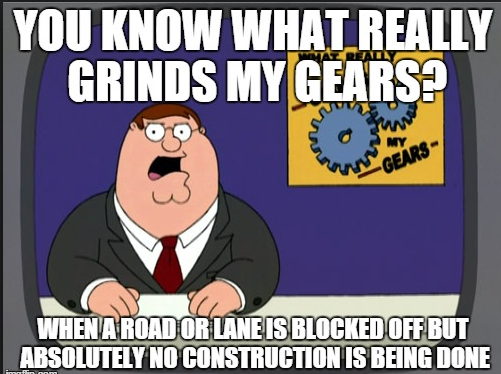 The one thing I have been trying to figure out, though, is why the construction barrels go up weeks before work ever starts. It seems rather silly to block off roads long before the start of road construction. I mean, why snarl and tangle up traffic if there’s no need? 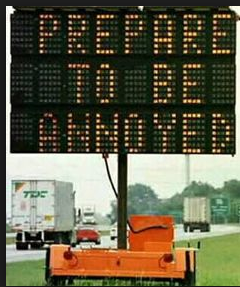 Of course, this lesson become personal when my main route into work went under construction. Literally, the street right outside the building. I can’t not go to work anymore, and there really are no alternate routes. So, a stretch of road that used to take less than three minutes to traverse now takes ten. Sometimes more. Yet, we haven’t seen actual work being done. The blocked off section of road looks exactly as it did three weeks ago. I suppose it’s possible something is happening. I just can’t say what. And as I drive by it every day, I like to think would have noticed. Perhaps there was a delay in getting the construction teams out to the site as there has been so much rain. Or perhaps there was a miscommunication as to when the timing of the work starts. My cynical side, however, remembers my years as an auditor and how construction companies worked. The general contractor doesn’t actually own the barrels. This is usually outsourced to a third party that owns the barrels and is responsible for all of the “signaling” work. So my cynic is wondering if the company that owned the barrels finished one job and just decided to set up the barrels for the next rather than store them between jobs. I have to think this is just this my cynic. No way would that be legal, right? Right?!? They use them for road construction. They block off parts of roads so cars can’t drive on them. Where I live, we have very cold winters. It can get as low as -45F. 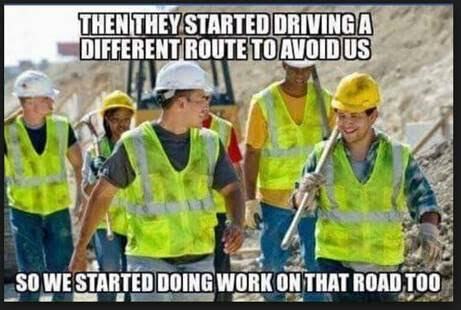 So, they have to do the majority of the road work in the warmer months. Which means making it hard to get places. Like work. -45F??? Oh my…that’s very different to us. Well, I hope you manage to get to work without too many hassles soon.